About Academics Admission Calendar Parents Faculty Contact Donate Now! Resurrection Catholic students have the opportunity to participate in a variety of clubs, in addition to academic, athletic, and performing arts opportunities. Bowling - Available to all students in grades 3-8. Bowling is a winter activity that takes place at The Big Event, Cherry Hill, once a week for six weeks. Social Justice Club - Students in grades 6-8 will be given the opportunity to care for those in our local community and beyond. News Team - Each day at RCS starts with the Morning Newscast. Students audition for News Team in the spring of sixth grade. The Morning Newscast begins with the Pledge of Allegience, a Gospel reading, and Prayers for the Sick. Student birthdays are ackknowledged each day by the Principal, and there is a special student-produced segment each day. Pipers - This service group for grades 3-8 meets the second Wednesday of each month. Students conduct service projects, such as making sandwiches or placemats for Cathederal Kitchen Joseph's House, making table decorations for a nursing home, or bringing in supplies for an animal shelter. Scouts - Many RCS girls are involved in Daisies, Brownies, and Girl Scouts Troops. 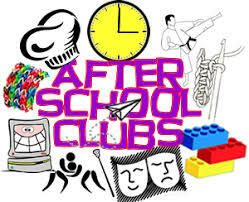 Typically, these meet after school, beginning in kindergarten. Many RCS boys are involved in local Cub Scout and Boy Scout Troops. Cub Scouts meet at a neighborhood church, while Boy Scouts meet each week at RCS.